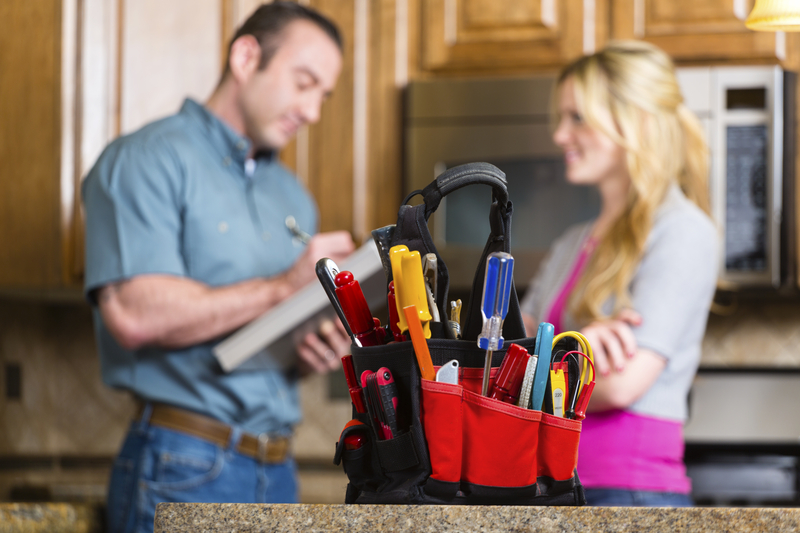 The Handyman Exemption: Is it Really That Simple? When considering a buyer’s request for repairs, REALTORS® know that repairs costing in excess of $1,000 must be performed by a licensed contractor while repairs under $1,000 can be performed by an unlicensed handyman. But is it really that simple? A.R.S. § 32-1121(A)(14) is commonly referred to as the “handyman exemption” as it enables persons other than licensed contractors to perform tasks for which the aggregate contract price is less than $1,000. But there is much more to this statute. To better grasp Arizona law governing the licensing and regulation of contractors, it helps to understand the purpose behind the statues. Licensing requirements for contractors constitute regulatory measures designed to protect the public against “unscrupulous and unqualified persons purporting to have the capacity, knowledge and qualifications of a contractor.” Northen v. Elledge 72 Ariz. 166, 172, 232 P.2d 111, 115 (1951). This sentiment was echoed years later by the Arizona Court of Appeals, which found that the purpose of the statutes was to “regulate the conduct of those engaged in the business of contracting so as to discourage certain bad practices which might be indulged in to the detriment of the public.” Security Ins. Co. of New Haven v. Day, 6 Ariz.App. 403, 406, 433 P.2d 54, 57. (App. 1967). Any person other than a licensed contractor engaging in any work or operation on one undertaking or project by one or more contracts, for which the aggregate contract price, including labor, materials and all other items… is less than one thousand dollars. But in addition to the requirement that the aggregate contract price be under $1,000, the statute also demands that the work being performed must be “of a casual or minor nature.” Therefore, even if the work totals less than $1,000, unless it is “of a casual or minor nature,” it must be performed by a licensed contractor. While the type of work must obviously be considered in determining if it is “casual or minor,” additional factors that can be considered include the dollar amount and duration of the repair contract. See Arizona Commercial Diving Services, Inc. v. Applied Diving Services, Inc., 212 Ariz. 208, 213, 129 P.3d 497, 502 (App. 2006). Furthermore, if the work requires a local building permit, a licensed contractor must be used regardless of the contract price. See A.R.S. § 32-1121(A)(14)(a). So while it is true that repairs under $1,000 can generally be performed by an unlicensed handyman, additional factors can change this analysis and must therefore be considered.